but rather than smoothing this with a steel trowel I apply a final coat of micro fibre reinforced lime putty – anything up to 2mm thick, often in two passes to achieve a really smooth finish. 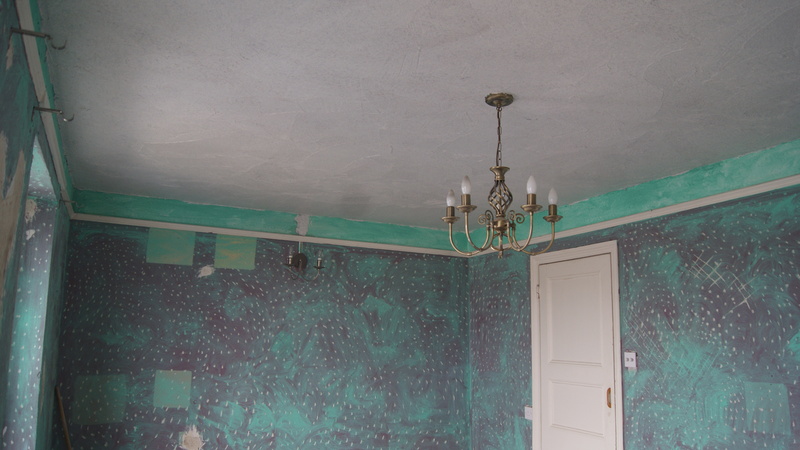 Not perhaps what is required or even wanted all of the time but when patching a lath and plaster ceiling or plastering up against smooth gypsum plastered walls, a really smooth finish is definitely desirable. 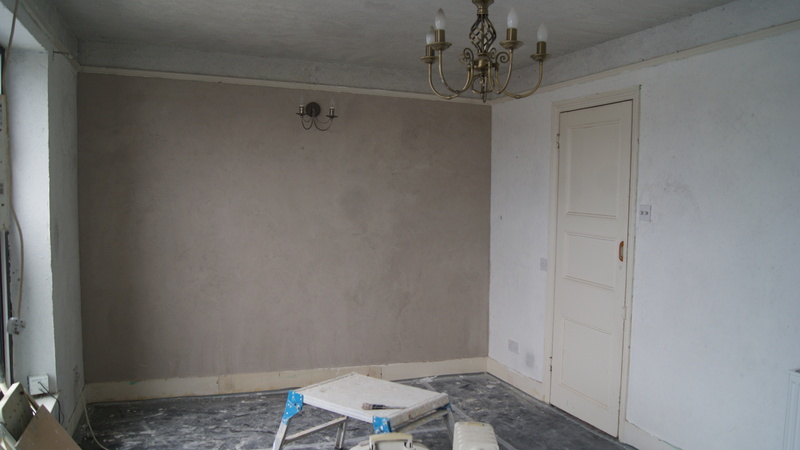 In this particular job the walls were damp and the paint peeling off, on investigation it turned out to be that the plasterboard was stuck direct on to a thin cement screed applied to the brick and stone built wall. 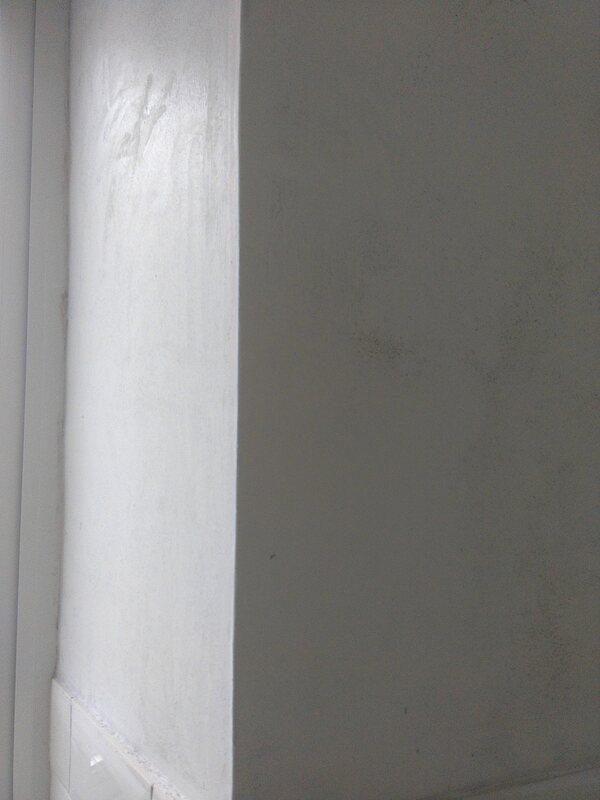 The damp was travelling through the plasterboard adhesive and damaging the paint as well as rusting the angle beads. I replaced the effected plasterboard with wood wool board fixed to battens so that the boards are not touching the salty masonry, I then plastered the woodwool board using the technique I describe above. This is a kitchen and the other walls are gypsum. 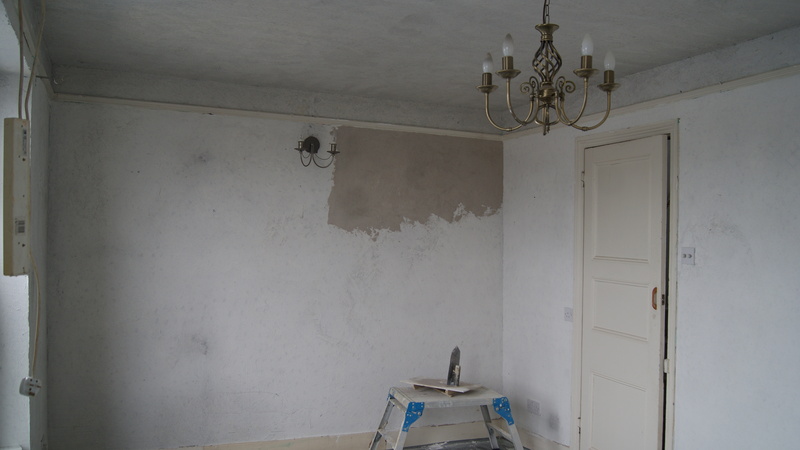 Now that the plaster is separated from the salty masonry by the woodwool board the salty damp problem should be cured. 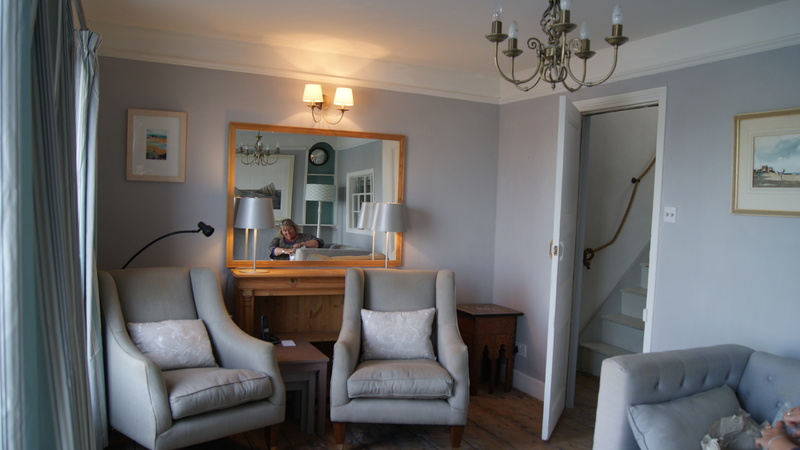 All through the autumn and winter months I was busy lime plastering, rendering and pointing. but did find time for some of painting. So very pleased to have helped raise a bit of money for the RNLI who do so much good work. which is further inspiration for me to continue painting. this is my latest – a portrait of the rock and tunnel at Hartland Quay. 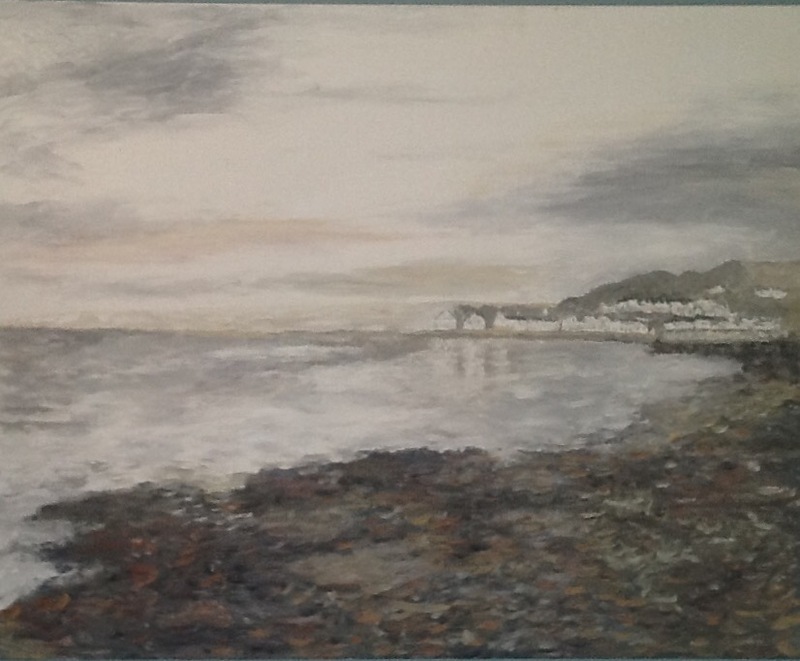 I decided early on in the painting to separate it from the landscape, isolated from the background and foreground it is transformed from a landscape painting to an abstract painting of shape and colour tones – all painted with earth pigments from the coast of North Devon. 40″ x 32″ on canvas. When I could not find a felt float for sale in the UK I decided to make some. What’s a felt float for? Compacting and smoothing fine lime plaster, especially my JB Lime Finishing Plaster but any fine stuff really and it’s really good for finishing smooth lime (or sand and cement) renders. 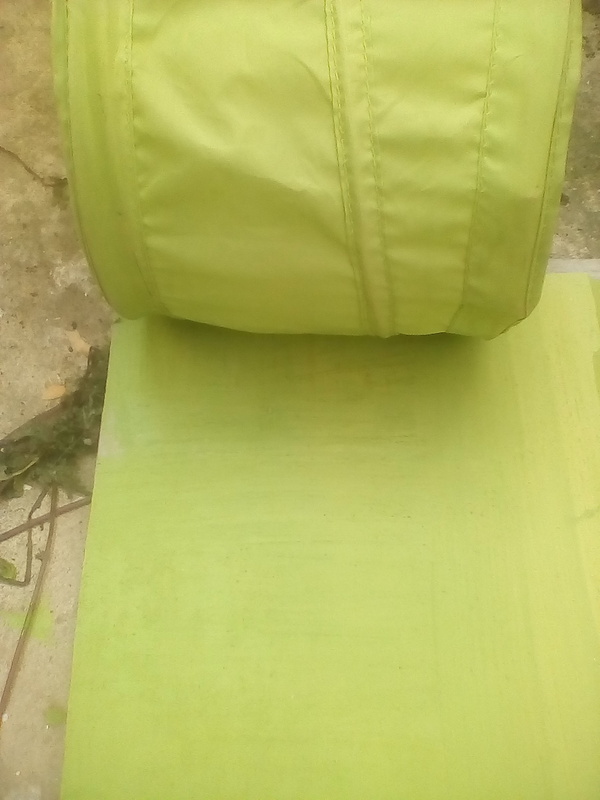 The felt grips the lime rather than sliding about, it takes up water, much like a sponge, but is more rigid than a sponge and so compacts better. The 10mm thick felt is fixed to marine ply so is best suited to flat surfaces, but they are a bit smaller ( 180 mm x 130 mm ) and a bit squarer than a normal plastic float so it performs better on slightly undulating surfaces. 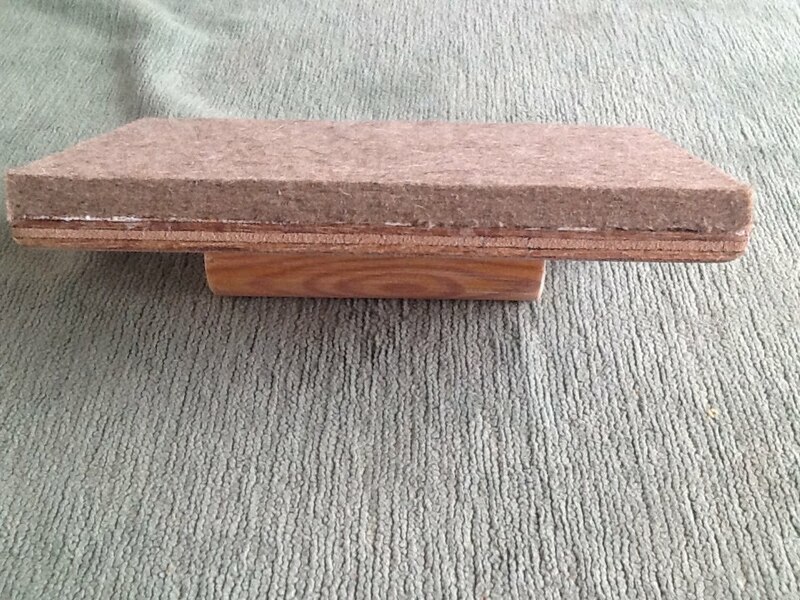 Made of Natural Felt and Wood. 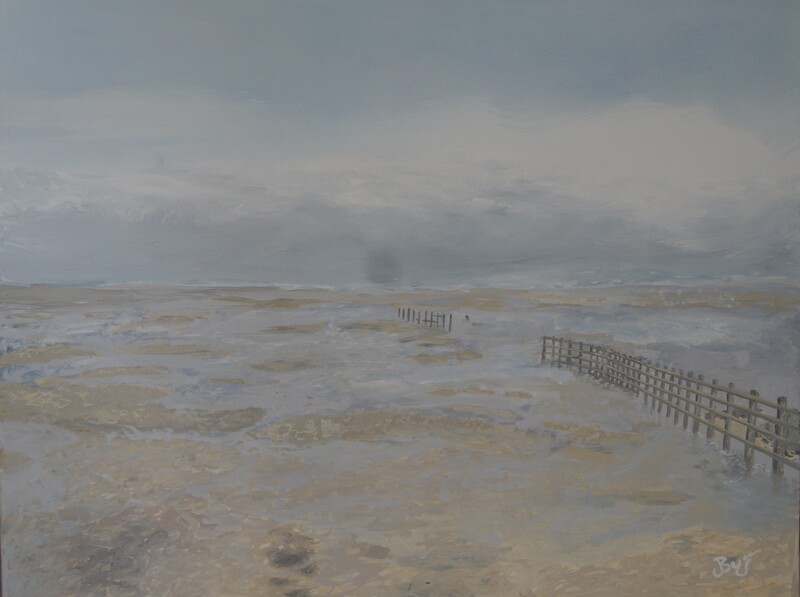 using Earthborne white Clay paint and mixing with three earth pigments harvested from the local seacliffs, these paintings depict coastal and estuary scenes around Appledore. Paintings are 1000 mm x 600 mm on canvas. This article by Gerard Lynch was published in 2007. It’s been ten years and still the ready mixed lime mortar producers haven’t fully taken it on board.